Indermaur Media - Visual Narrative Blog by Scott Indermaur — Indermaur Media, inc.
Informational blog about techniques, ideas,industry trends, clients and projects of Indermaur Media. Written by Scott Indermaur, professional corporate photographer. An effective production process for digital media production is essential in making any assignment a success, beginning with a solid foundation during pre-production. This allows the content production phase to run smoothly, focused on developing compelling multimedia stories. While producing a commercial multi-media campaign, using photography and video for a midwest financial company, we conducted a nationwide search for locations that needed a unique vision and style. We decided on Boston, Massachusetts. This project was a rather large with a multimedia crew of 24 people that included Boston based actors, makeup artists, a wardrobe stylist, producers, assistants, art directors, client and of course the media crew to capture lifestyle still photography and video. With lots of moving parts, it was critical to have a production team we could rely upon. Primarily, a Producer that is organized will understand all the details. The producer’s role entails getting permits and finding talent, arranging many people on location in Boston, and holding a large multimedia video production crew to a schedule that constantly moves to different sets around the city. Focus mostly on today. During the pre-production phase, there are tons of moving parts and loose ends. Pleasant surprises appear and there may even be a shift with the art direction. For me, as the Director, I needed to look at the production’s overarching big picture with deadlines and tasks. Though the majority of my time spent is focused mainly on today’s tasks. Sometimes looking at the big picture, with the hundreds of tasks to complete, can be overwhelming but concentrating on the immediate production tasks makes for a less stressful and productive day. Have a fantastic crew. In this case, we created a team that was mostly Boston and Rhode Island-based. New England is my “backyard” so this wasn’t overly stressful; but on other assignments there will times when a local producer, scout or contact is worth their weight in gold. 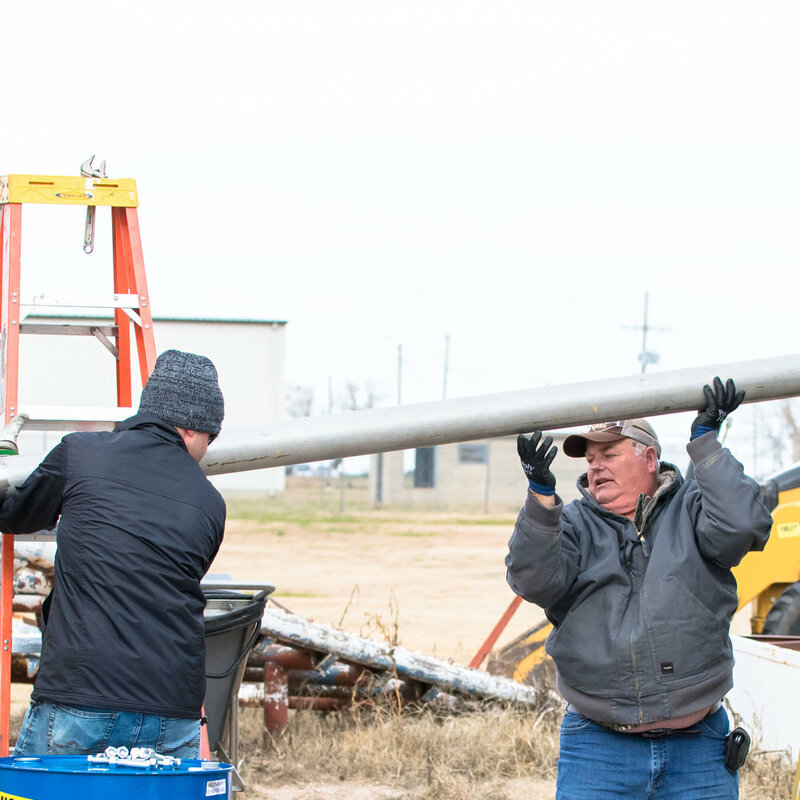 It is common, especially on larger projects, to hire local connections to ease local logistics. From a permit that needs a local to push it through, to knowing certain areas that may not be the ideal place for a visual production. Create a detailed schedule. Have an agenda that is minute-by-minute and also lists all the crew members and their contact information, location scouting photographs and talent headshots. This agenda keeps everyone accountable, and allows them to see the big picture and understand what the photography and video production entails. Be prepared for surprises. There was one location we thought we had a permit for and we unknowingly crossed the line into another town by about 50 feet. The crew was in a park that extended into two different cities. We didn’t realize that until a police officer asked us about our permits. We had the correct permit for one side of the park, and we needed a different permit for the part we were shooting on at that time. Kindness and understanding goes a long way, and the officer allowed us to finish our work on both sides of the town line. Weather. This 3-day production was blessed with perfect weather. Though we were watching weather patterns weeks beforehand. A while back, we had a similar project where we needed to postpone a Georgia media project for a week because of weather. We made the right decision because it turned out an extremely turbulent wind storm went through some of the locations we had planned. We would not have had the opportunity to capture what we needed, or do a retake. Always watch the weather, and have a backup plan if the weather isn’t right and the outdoor production needs to be postponed or caught inside. This is a detail no one can control! Be prepared for a shift in art direction. After researching locations, scouting, discussing and finalizing plans, there are still times when we show up to a site and decide to shift course with the visuals we want to capture. This shift could be due to lighting, weather, a perspective we overlooked or even art direction. It is always a good idea when hiring a strong and supportive crew that each person is able to shift with ease and maintain positivity. With large or small productions, this overview of a Boston multi-media project will make it easier to understand a multi-locational multi-media project. We do the same type of planning for projects with a crew of 2 or 24. Everyone likes a good solid schedule that keeps everything flowing with ease, and ultimately creates a successful commercial photography and lifestyle videos. As I mentioned in the past blog, Rhode Island Commercial Photographer For A Restaurant, I thoroughly enjoy multimedia projects of all magnitude from 100% photography or video to a mix of video and photography elements. These assignments may be smaller visual projects with only a crew consisting of myself to the large multimedia projects that include extensive travel and a team of a dozen people to accomplish successful photography and video project. In a recent multimedia assignment, a Boston Biotech video production also included Biotech photography with a style of corporate photography. This company is actually not based in San Francisco, it is located in Watertown, MA (a suburb of Boston) in which there are several exciting biotechs, and Life Sciences are established. The visuals were to be used for their website, social media, blogs and public releases for articles. This project was spread over two days in which we captured b-roll video footage of their busy biotech lab, biotech lab photography, and more of a corporate photography style of their associates working throughout the offices. Also, the majority of this Watertown, MA biotech photography was of active employees to share the culture of their growing company. We also photographed headshots and portraits of their primary team for the website's team bio page. The studio setup was created to be simple and easily duplicated as the organization grows. That way portraits will always have a consistent style and look as if they were taken on the same day. One of their conference rooms was used to create a studio for these portraits. We have since visited their location two more times to create additional biotech team portraits that are added to the website with the same consistency and style as the previous executive portraits. These portraits are also used for corporate headshots for public relations uses and on their social media Linkedin Company page. The crew consisted of myself and my assistant to allow us to be nimble and at times work as if we are a fly on the wall. We captured Biotech lab video and photography for their marketing uses. Working with their creative director, we developed a list of office and lab locations to be photographed and placed in the video. This included making sure I shot specific team meetings. At times we set up individual scenes to look candid, and other times I would walk around and document what was actually happening. The photography was edited down to a presentable number of images and shared with the client with an online photography gallery. Also, the video clips were packaged into one video and shared online for their review and to make comments for future video edits. Making comments directly on the video at specific time codes makes this process of editing video seamless and efficient. I visit Massachusetts often, and as a Boston corporate photographer, I enjoy all the vibrant businesses in that area. I find my career beginning as a photojournalist working at newspapers and being efficient and creative has been very critical to my style and how I approach photography projects and New England video productions. My commercial photography experience has allowed me to understand light in the studio and as an on-location photographer, I have extensive experience in setting up studios in a corporate setting. It is always fun to travel nationally for visual projects, and that increases my experience with approaching local New England multimedia projects and making them success as I did for this Biotech photography and video project. There are many types of commercial photography and advertising campaigns. A number of my advertising photography projects and corporate video assignments are for small and medium-sized businesses that I thoroughly enjoy. Having lots of experience with more significant projects allows me to create an even stronger plan for smaller marketing campaigns. Typically a smaller project involves myself and an assistant with different levels of collaboration and expectations with the client. In most cases the client wants me to create a majority of the art direction and production of images. We have conversations on their vision, goals, brand and the narrative they want to share. Also, I will research their presence and competitors in what they are sharing visually, creatively and with the written story. In other cases, I work closely with the client in creating visuals with their vision. The smaller multimedia projects are wonderful because such a significant portion of the creative collaboration process is baked in without managing a large logistics crew to make it happen. I recently completed a Rhode Island restaurant photography assignment and their 2nd location for the pantry. The client hired me to photograph their restaurant and bakery to capture the fresh, high quality food they prepare along with the fun personality of their staff. I also created their new websites for both the cafe and bakery; which allowed me to be a partner in their creative process from conception to publication. We visited their Rhode Island locations a few times to capture candid style photography that portrays this vision for use on their new website and for their social media. At times I photographed people in action and other times asked the barista to hold up a delicious pastry towards the camera to create a social media style photograph. The production crew was just myself as the Rhode Island commercial photographer and the owner, collaborating to create their impactful marketing photography visuals that tell their narrative and make a strong marketing presence. During the photography sessions, the restaurant owner was with me to point out potential strong visuals, and I shared my ideas with her. We made a terrific visual team as her small business narrative unfolded. I kept the actual production simple with using ambient lighting and an occasional 1-2 Profoto A1 small battery flash units. This allowed me to work without an assistant and be nimble in a small, busy bakery and restaurant. Most restaurants have limited space so it’s easier when I am solo vs. working with an assistant. It brings me back to my newspaper photojournalist days of working creatively, but nimble and fast. This technique allowed me to stay out of the way during active business hours when they are serving their customers. Also, I suggested we create a video for their home page of their website. I then created 2 videos from time-lapse photography to capture the busyness of their locations with a social media style video. This added action, movement and energy to their website’s opening page. It’s become a much watched, very popular video! I enjoy working at all levels of production, as I move a project from pre to post production workflow. As a commercial photographer, every advertising or marketing photography project is a unique experience. From the planning of the types of a commercial advertising campaign, envisioning the visual narrative, to the coloration of the actual photography and video productions in my home state is very rewarding. Being creative with images or adding a social media video clip as a new style and asset for the client makes projects more exciting; but more importantly, it delivers what type of narrative the client wants, which can be challenging and very rewarding. While I travel nationally for video and commercial photography projects, I do enjoy the journey as a Rhode Island commercial photographer - Rhode island has so much to offer! So, what is it in Kansas that will change the world? Indermaur Media has an exciting and unique opportunity to join a brilliant team about to change the AG industry. Our client has gathered top minds in the fields of technology, engineering, chemistry, agriculture, and environmental sciences too (as they have said) change the way the world farms, and eventually save our Earth. That's a big vision, but one we believe is possible. I have known and worked with Rob Herrington over many years, often on the next successful start-up adventure. 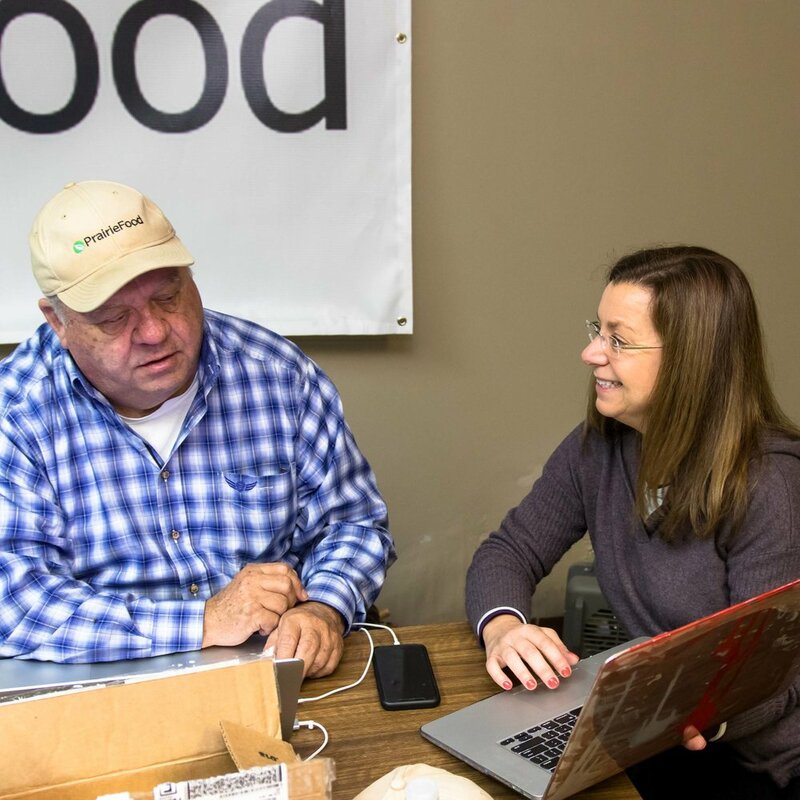 The latest startup, PrairieFood, has been in our discussions (and in the making) for years. It's been exciting to learn about and watch the new company move from an idea into the actual production of its product. 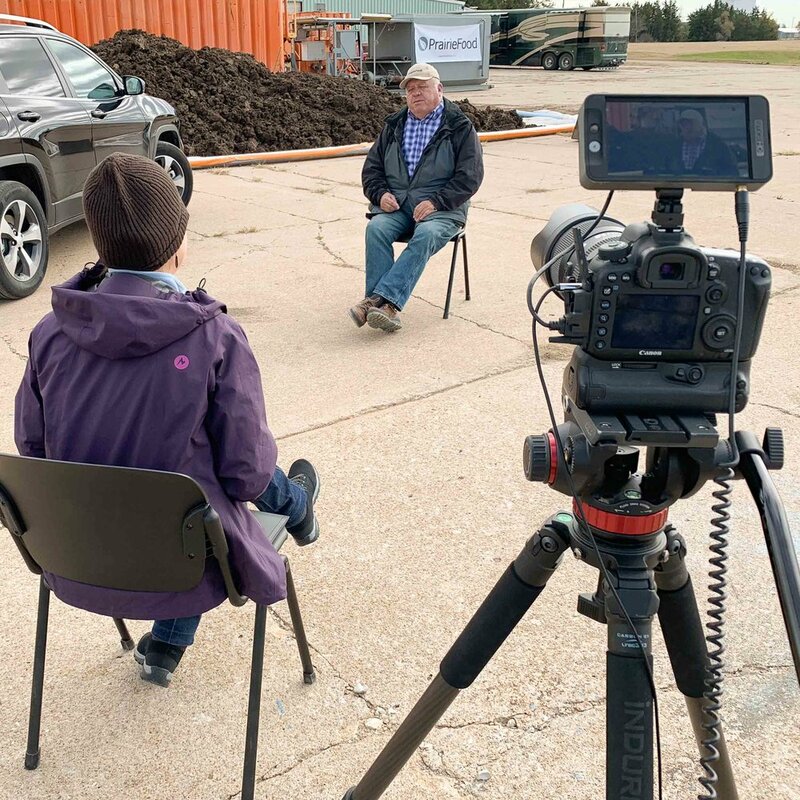 Indermaur Media is documenting all components of PrairieFood's narrative with photography and video for historical purposes, as well as produce their digital media, and written content. I decided to bring in Indermaur Media's Producer and Visual Thrive partner, Lori Giuttari, to manage the written content and strategic communication plans for Prairie Food. The entire team works closely with their strategy and communications, from developing their website, maintaining consistent branding within all the messaging, to their upcoming social media feed. 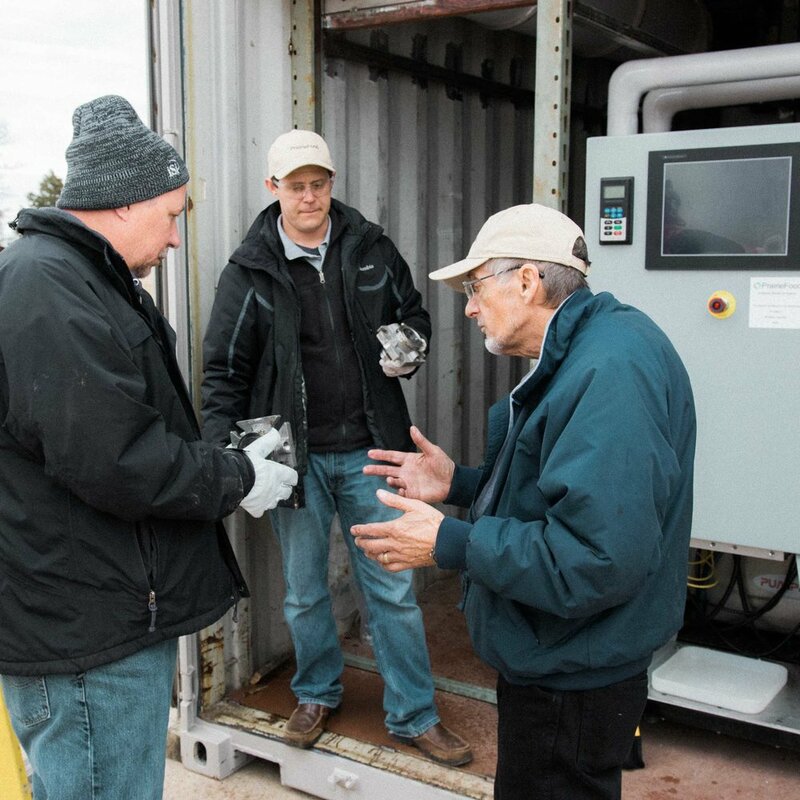 This past November, we were excited to travel to Kansas and meet our team, and to photograph and video PrairieFood's first milestone: Completion of their commercial scale continuous flow reactor, fired up for the first time, was captured within meaningful video conversations and hundreds of photos that tell the story of PrairieFood. Think cow manure. Ahhh! That fresh farm smell! What do we do with the extraordinary amount of manure we have on this Earth, as we continue to deplete our natural resources to produce more food? Well, the PrairieFood team is tackling this issue from every angle in one fell swoop. Like any waste, it's essential that we, as humans, learn how to recycle and reuse as much as possible. In manure's case, it's even more critical. This nutrient-rich bio-waste is regulated by the US EPA and must be safely disposed of or it can cause lots of environmental problems. Manure continually emits methane gas and leaches nitrates and phosphorus into our water supplies - both a leading contributor to climate change and pollution. Mother Nature can only take so much, and I'm sure she expects us to know better and do better. 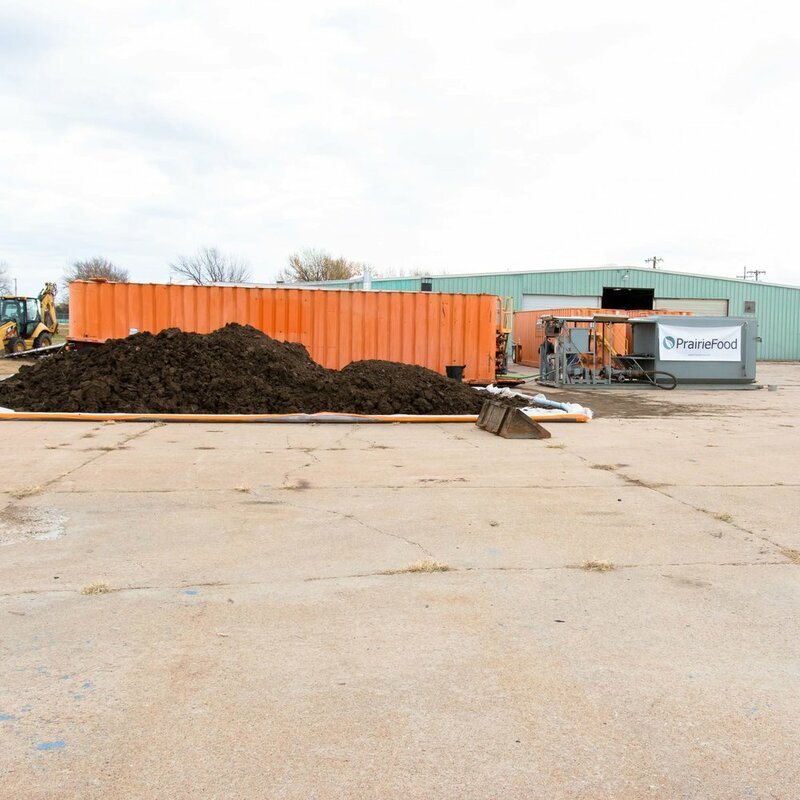 PrairieFood's award-winning, proprietary process takes the carbon-rich manure and deconstructs it using heat and water. 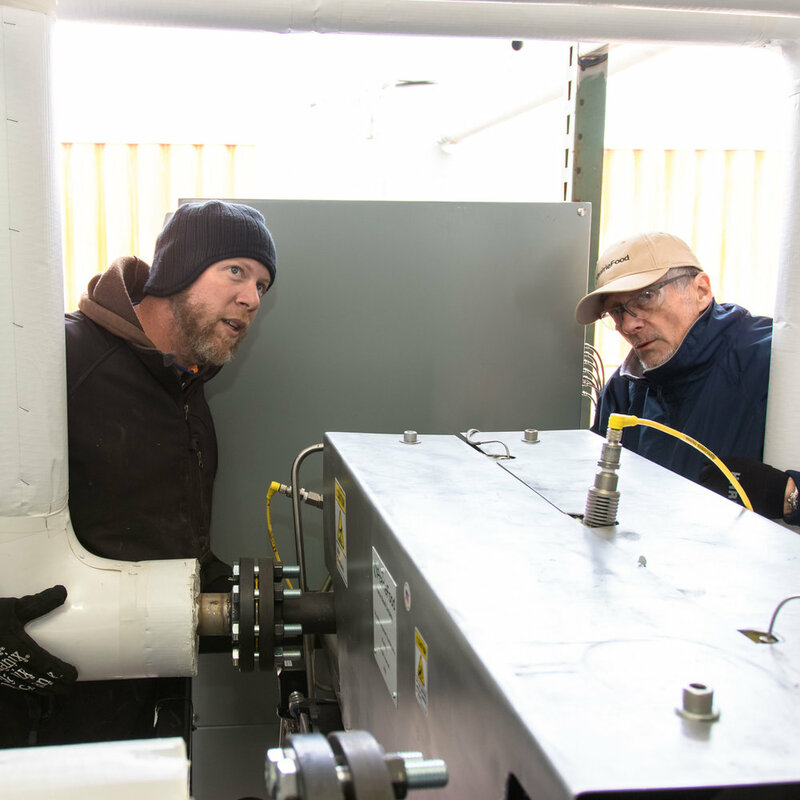 This novel process swiftly recycles and binds the organic nutrients in manure to the carbon, kills bacteria and weed seeds, and deconstructs any antibiotics within it in less than 1 second! The outcome: PrairieFood - an organic, carbon-rich, nutrient dense material immediately available for organically farming safe food. Because of decades of conventional farming, our land craves carbon, nutrients and the organic microbes PrairieFood delivers. 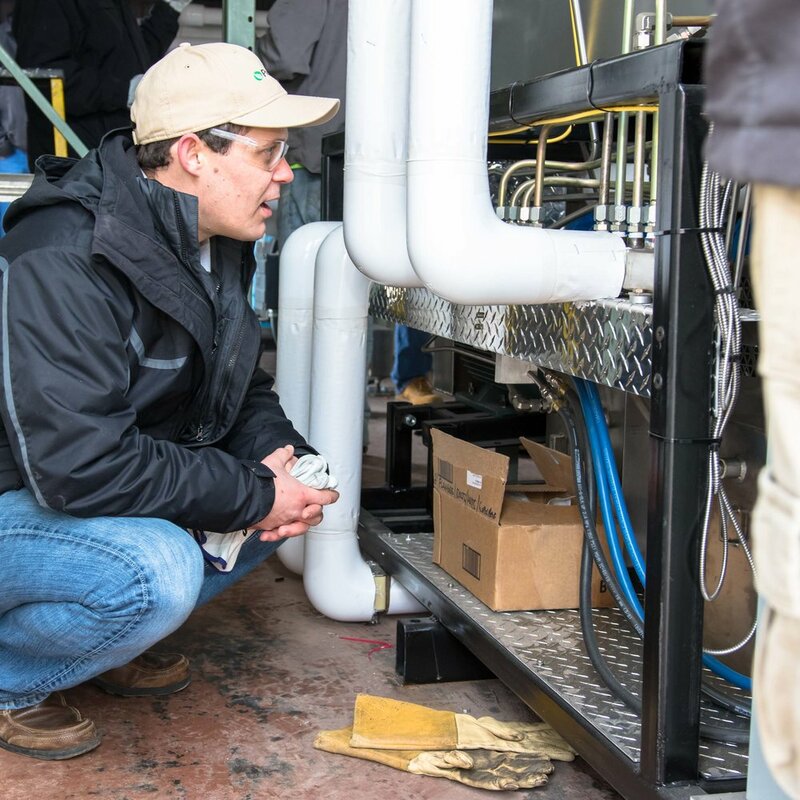 This intensified process takes what Mother Nature gives us and returns it to the Earth to enrich our soil, and produce nourishing, safe, better food within the first crop cycle. 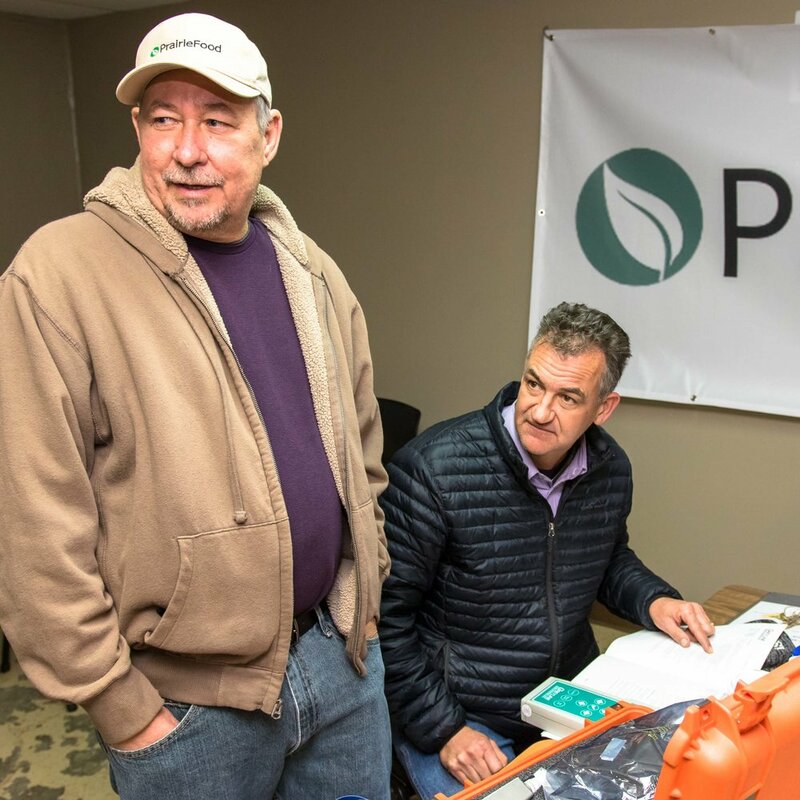 Organic farmers prefer to feed their soil just like this but to do it right; it's a five-to-six year process that still needs to address dangerous bacteria like e-Coli and listeria, and disrupting weed seeds within the manure itself. 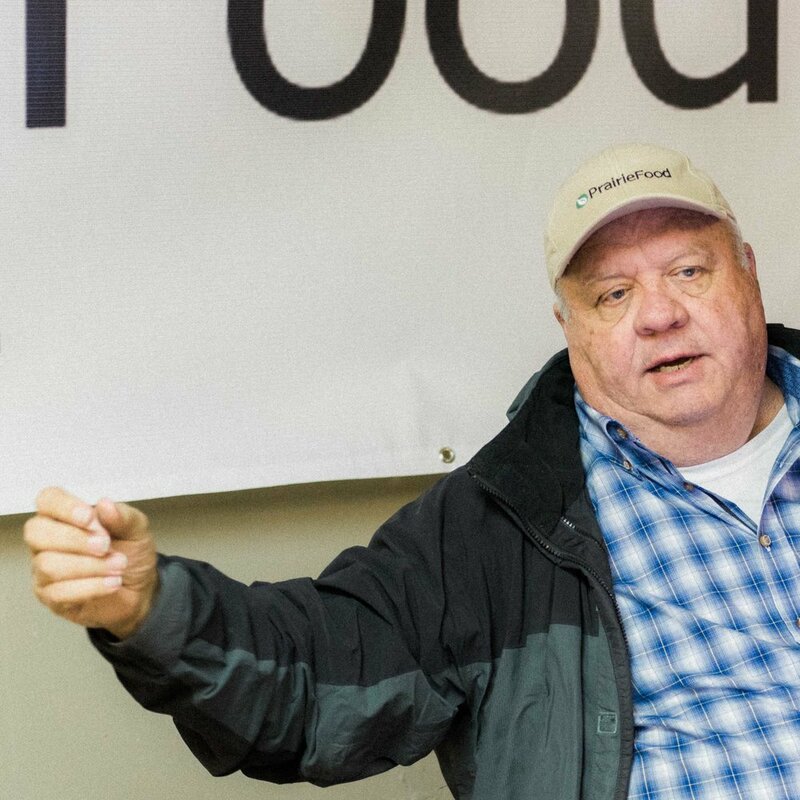 The PrairieFood team believes their innovative process will change the way our world farms. As a very health-conscious society, PrairieFood delivers precisely what we need - safe, organic, nutritious food without further harm to our planet. I captured the photography and video to share their story as the company grows. Their website -PrairieFood.com - is up and running as was also developed by Indermaur Media! And we will continue to share the development each step of the way. 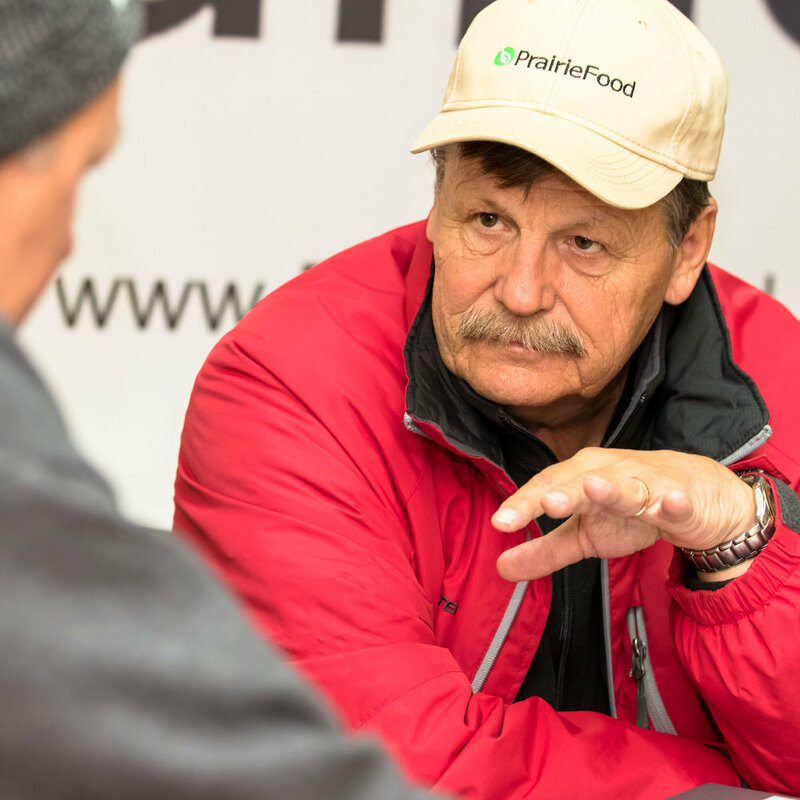 You can follow these updates on PrairieFood's LinkedIn Page too! Organic farmers are immediately able to produce higher yields? Conventional farmers could replace synthetic fertilizers and enhance their land? 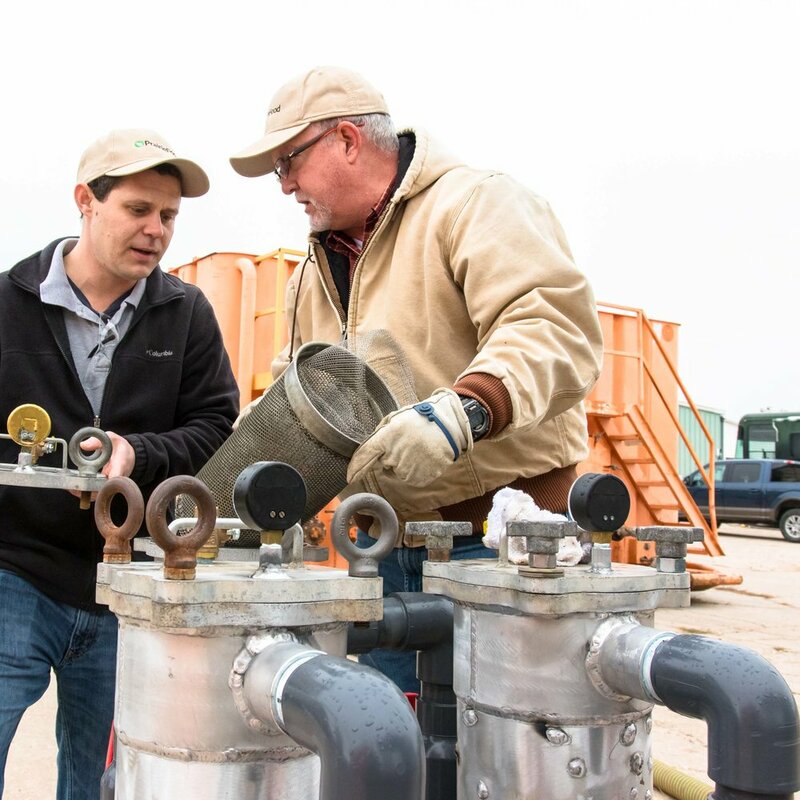 Manure won't sit around emitting methane gases? In three years all farms could become organic farms without loss of yields? All our food was organic, safe, and nutrient-dense? To be a part of PrairieFood’s team is exciting - they are a brilliant group - and to be able to manage and create consistent, reliable communication through photography, video, website design, written content, social media management, and strategic marketing is a fascinating opportunity employing all that Indermaur Media offers. The story has just begun. Follow it unfold on PrairieFood LinkedIn page. Caught up in the chaos of clutter and cords? Move it, stack it and manage it with the Bostitch® Konnect™ Workspace + Cable Organization System-the ultimate cure for desktop disaster. By integrating patented cable management rails, power solutions and innovative storage accessories, the Konnect™ System helps users organize, customize and optimize their workspaces. My client, Bostitch Office, wanted to develop a multimedia campaign to showcase their new product, creating videos for use in social media ads, point-of-purchase displays, and installation instructional videos, and photography for packaging and advertising, as well as for trade show collateral. We began with meetings to outline concepts for their multiple visual needs. Shooting the video and photography during a three-day multimedia assignment allowed us consistency with the actors, location, and style. It streamlined the visual process to save on the client’s budget because we would be able to run photography and video concurrently. During this phase, we created a video storyboard, a photography shot list and produced a detailed schedule to capture the ideas for their photography and video needs efficiently. In phase two, scouting for locations, we visited locations throughout Rhode Island and Southeastern Massachusetts. We found a perfect site in Boston for our video production and as a Boston advertising photographer. I also added it to our location library for future projects. The Boston location is a very modern looking office with lots of glass doors and large windows with new furniture, and we were able to have full access to it for our three-day multimedia assignment. Timelapse of a messy desk to organized by Bostitch Office Konnect Workspace + Cable Management System. 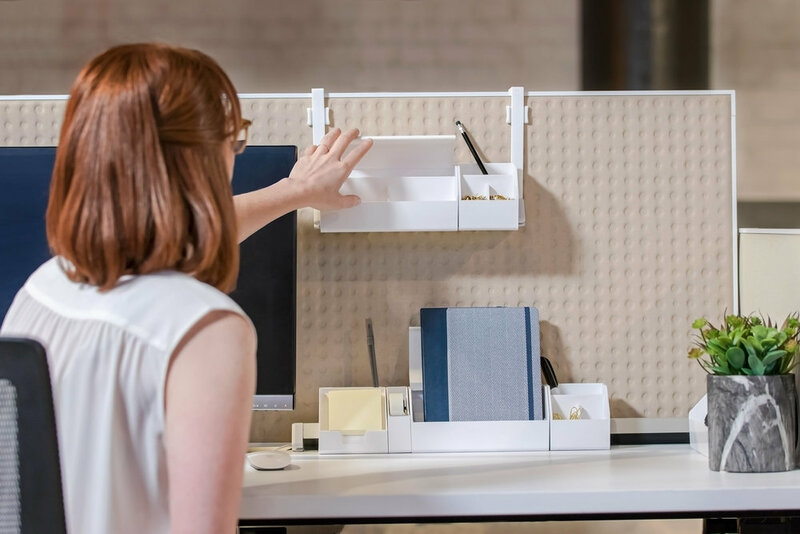 The new product is a modern workspace and cable organization system. 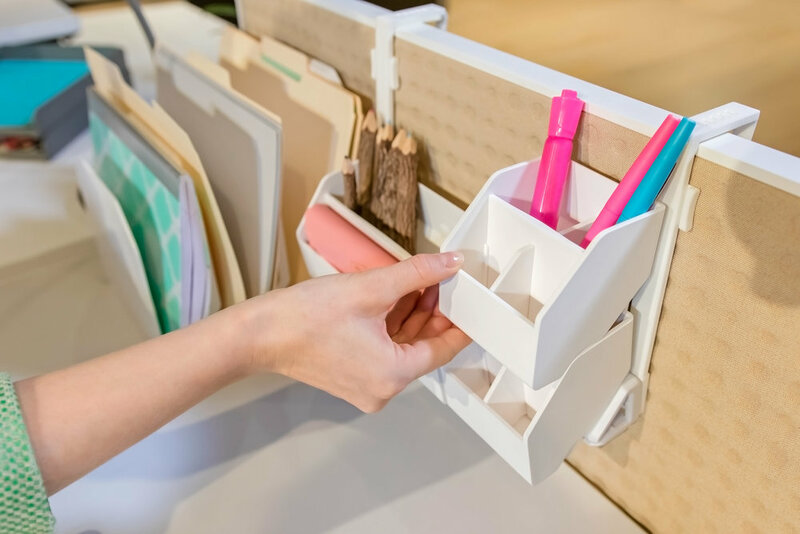 It includes spaces to organize and store desktop clutter, management of cables, among other ways to keep the desk area efficient and free from clutter. Now that my team had the assignment tactics approved, and secured the office space, we contacted a few talent agencies for the casting of our three actors. 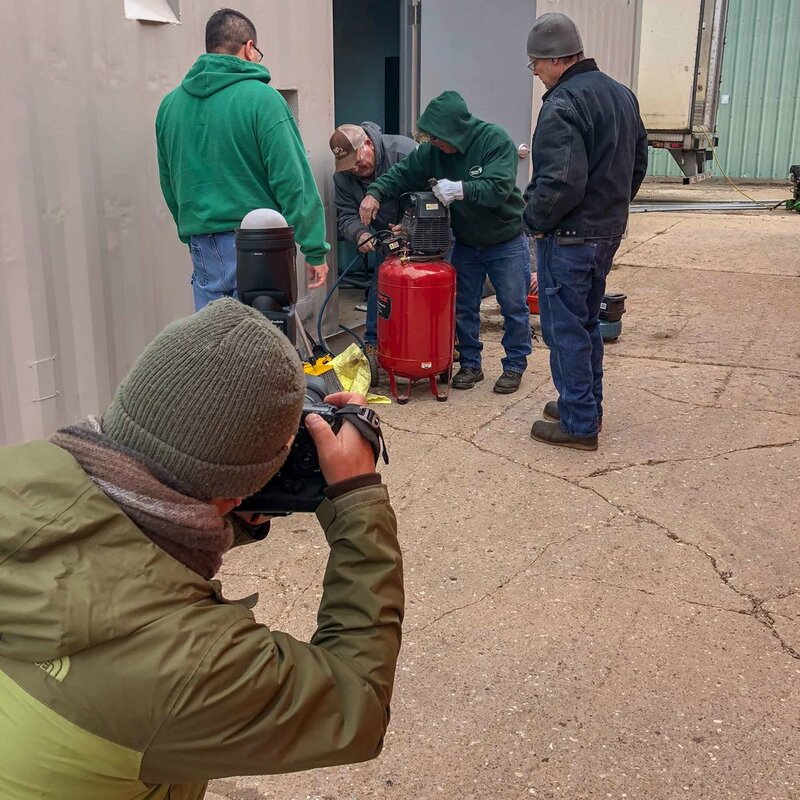 The client wanted people that would be comfortable in front of the camera, but we also included an employee who knew the product well and could easily set it up for the instructional video. 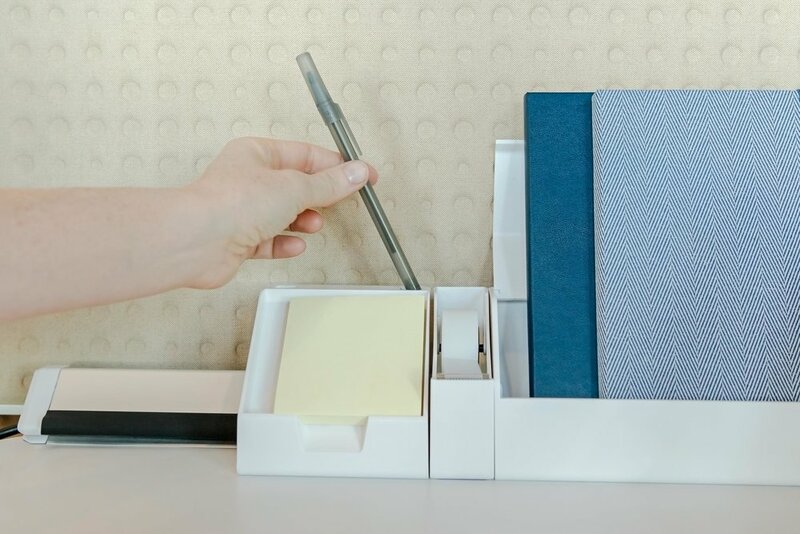 Moreover, before we began the assignment, the entire office needed to be propped with office supplies and accessories that made the office look as active and productive as a typical busy office. We wanted to be sure to use as many as the client’s office products as possible. A product manager focused explicitly on the setup on their new workspace system, which was still a prototype at the time. The Indermaur Media Boston multimedia production crew consisted of myself, as production director and photographer; a New England videographer, two multimedia assistants to set up and attend to anything that keeps the set running smoothly, a wardrobe stylist, a makeup artist, and a producer/prop stylist. Day one, of production, was primarily focused on product setup and photography. No models were needed. It also gave us the opportunity to watch the limited daylight time and adjust our video schedule for this winter assignment. The remaining days were a mix of environmental photography and video. We’d set up a scene and video record it, then photograph product close-ups and office overviews for web, packaging and other print use. Then we’d setup and move on to the next scene. Also on set were four people from the client’s marketing and product development team to manage art direction and set up of the product. They also acted as extras during the video scenes. We typically had 2-3 setups at any given time in different stages of setup to keep the photography and video production flowing. As always, I want to create a fun, high energy environment as the team comes together for a multi-day assignment. We focus on what’s needed and get straight to work. On video recording days we work non-stop to meet the client’s vision, and having a fully engaged, professional team is the key to our success. Please take a look at the video and photography outcomes from this exciting assignment, and let me know what you think! Also, visit our new venture for your company’s social media marketing - Visual Thrive. I recently updated my Environmental Portraits Portfolio, and it was a great reminder of the diversity of people I have photographed within their personal and work environments. This form of photography truly captures their personalities. I hope you enjoy the range of characters, professions, locations and art director expectations. People always ask me what my favorite assignments are and I am still at a loss for words because there are so many that have touched me. Each assignment begins with a blank slate and is created differently. In this new Environmental Portrait portfolio, I am sharing the projects that captured people in their environments all over Rhode Island, Greater Boston, Massachusetts, Connecticut and beyond. 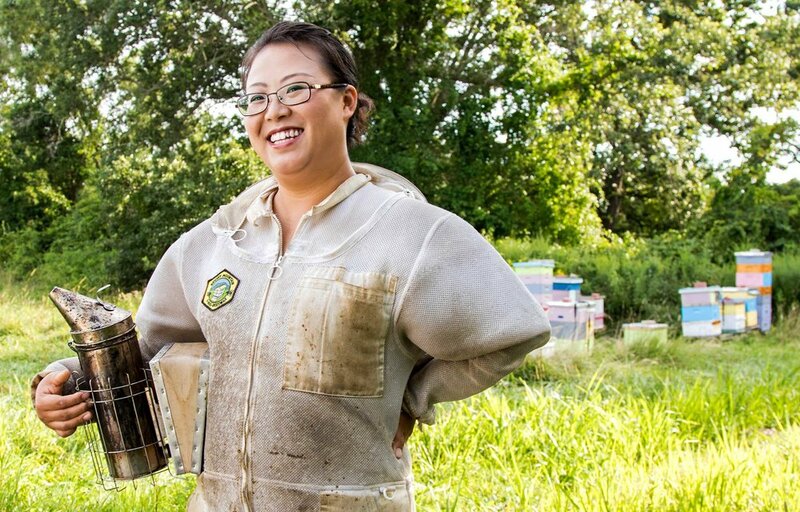 The portrait of a beekeeper with her hives behind her. My assistant and I wore a beekeeper outfit during the portrait session, and the remaining crew stepped away. Unfortunately, one person did get stung. I love the photo of a small business owner, casually sitting in front of his Providence Record store. It is an enjoyable moment in time. 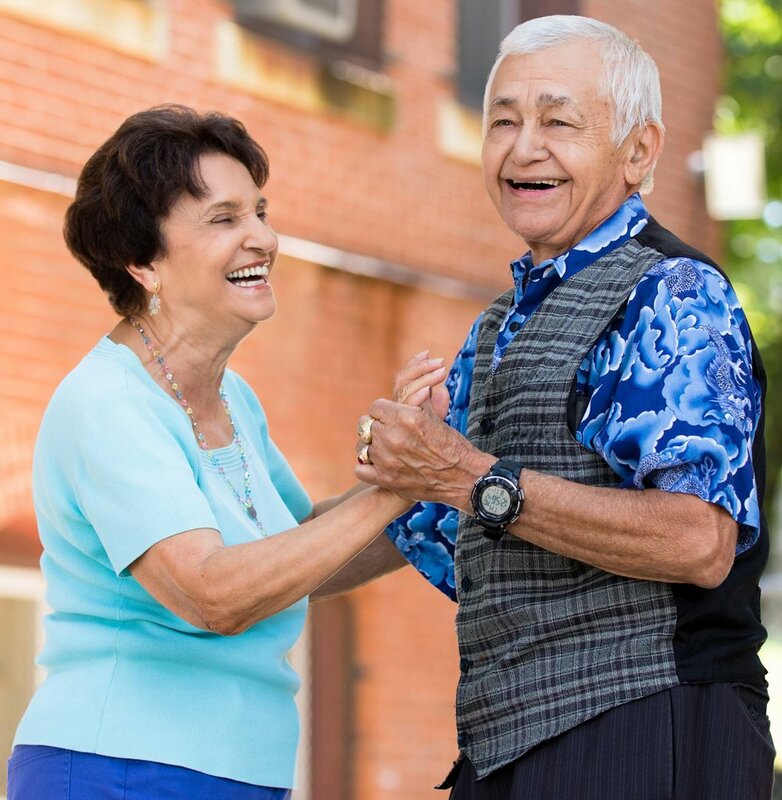 Or the Hispanic couple with so much vibrancy that we decided to ask them to dance! It turned into a magical photographic moment. Then there are the Boston corporate photography portraits including executives in front of a well known Boston landmark, the Bunker Hill Memorial Bridge. This corporate portrait focuses on their personalities and their deep connection in the Boston area. Check out the candid portrait of the couple working on an iPad in the Boston's Rose Kennedy Greenwich. The concept of having a bridge and an arch was essential to the vision of the marketing materials. This photographic advertising project included many different scenes. The picture of a man with his dog, playing frisbee in a Boston park for an advertising campaign. A company in the finance industry wanted to portray a fun and enjoyable connection of living life fully for their new financial product. Much of my photography work today expands throughout the United States as well. I embrace the diversity of so many portraits and personalities that I encounter through my photography assignments. Like the couple who owns an animal hospital in Nebraska and were very open hearted people and gave us a wonderful tour of their facility. And look for the couple enjoying a round of croquet in Georgia for a lifestyle marketing piece. Or the husband and wife dairy farmers hugging each other at their farm in Northern Colorado. These quick unguarded photojournalistic portraits captures the spirit of individuals and their community. I especially love the challenge of creating photographic visuals when a company calls on me to demonstrate their goods and services, and portay (and convey) a particular feeling. The portraits show the personality of the subjects and tell a story about their self and their community. Back in the "day" photographers were hired for photography and videographers for videos. Today you can find photographers that also create video and videographers that take photographs. The range of experience, style, and abilities are diverse. Hiring an individual that has the experience as both a photographer and videographer is one way to create heartfelt and connected real life stories with video and photography. They can be used for a company's advertising campaign, in-house corporate uses, social media and online content. In recent years I have enjoyed commercial multimedia assignments in Boston, RI and New England like this because they include "from the hip" style photography, and storytelling through video; while others are more sophisticated in creation. For example, I may take the portraits of an executive team and then engaged them in a conversation/interview on video for a simple, but more in-depth assignment. Here are a few tips on what to look for when choosing your multimedia partner. 1. Find a photographer or videographer experienced with both photography and video. Shooting still photography and video are two different mind and skill sets. Approaching a subject for photography is different than with a video interview. 2. Find a multimedia (photographer-videographer) crew who can work quick on their feet and are creative in their approach to a setup. 3. A producer is an excellent asset for successful multimedia project management. They help with permits, finding professional actors or "real" people, scheduling, putting together a crew, making last minute requests happen, among other things. An individual within your company or the photographer-videographer may be able to produce as well. 4. Allow simple setups so photography and video can easily be captured. This keeps the team moving to get lots of good visuals in a day's work, and can be used for the long-term. 5. Have the day planned out - This sounds like a no-brainer, though it is critical and is sometimes overlooked. Keep the schedule tight, organized and if the crew is running ahead or behind schedule, let them know. I always like to pad some extra time for those setups that have unexpected delays. Remember to allow enough time for video and photography to be created. 6. Have a vision - you may only need one setup. Focus on making an excellent portrait and interview instead of creating multiple setups. This significantly streamlines the editing process. Keep it simple and narrow down your wants and needs before the shoot.